Previously Deelis in MV. 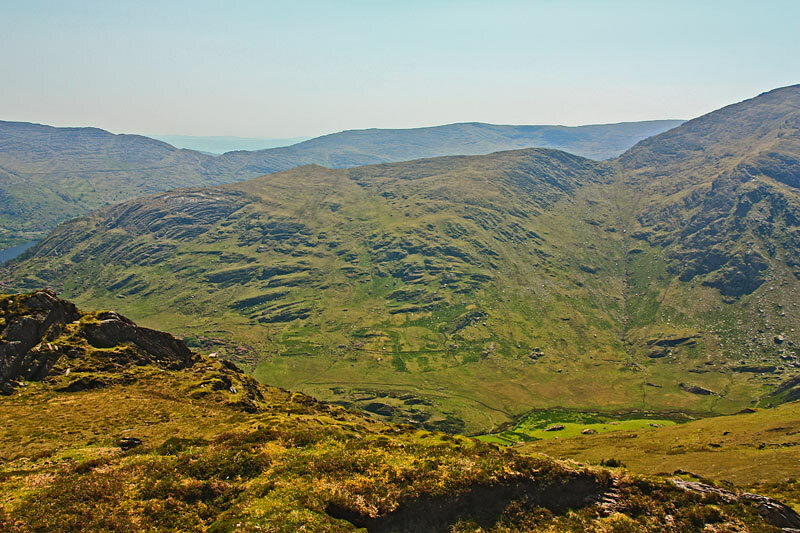 Tooreenbaha is the 901st highest place in Ireland. Picture from group : Tooreenbaha is the ridge bump to the right, viewed from the NW. Picture: Tooreenbaha is the ridge bump to the right, viewed from the NW. Hogs back summit with good views. Tooreenbaha is a minor summit on the ridge extending NE from Lackabane. It is likely to be included as part of a circuit of Cummeengeara for which it provides a moderately sloped way of going from the valley floor to the ridge. It is possible to access it from the bridge at V760 558 A which leads to a dirt road. Aim for a point well down the ridge while ascending to avoid crags. It may be advisable to ask permission for this route. Parking is limited and you are recommended to park to the north of here.